If you love Apple’s wearable and you can’t wait for the next model to arrive, this news might interest you. Some smartwatch enthusiasts have been expecting the Apple Watch 2 for a long time. Previously, it wasn’t so sure if the wearable was an annually launched product from Apple. However, we soon began to hear rumors about the Apple Watch 2 and it still interests us to date. Nonetheless, todays report suggests that the Apple Watch 2 might arrive sooner than expected. Apple Watch 2 To Enter Trial Production This Month? 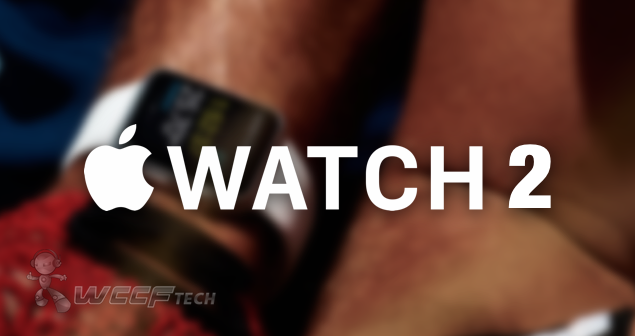 Shaking the dust off from some rumors, the Apple Watch 2 might go into trial production sometime this month. The answer came in from a Taiwanese website Commercial Times that suggests the Watch 2’s trial production may begin by the end of January. Moreover, the second generation of the Apple Watch will be manufactured by Quanta, the same manufacturer of the original Apple Watch. If these rumors are said to be true, it is possible that the second generation of the Apple Watch 2 might hit the stores sometime in April. If you’re not updated about the Apple Watch 2 rumored features, the wearable is said to boast a dedicated Wi-Fi chip, health and medical updates, a FaceTime camera along with a thinner case. These are some of the most demanding and important features for some users. If everything goes without any obstruction, this would give Apple and Quanta some time to ready the Apple Watch 2 for the debut. Previously, we did hear Quanta’s chairman quote that the Apple Watch 2 has an ”end of Q2 2016” potential release time. Back in November, a report also suggested that Apple might shift the production of its second generation Apple Watch to other suppliers. This is solely because the Cupertino based company had ‘weaker than expected’ profit margin, followed by Quanta’s production of the Apple Watch. Henceforth, to secure more profits, Apple might seep in other suppliers for production. Nonetheless, Apple does not plan to miss out Quanta. Some of the secondary suppliers may include Wistron, Foxconn and Inventec. Hopefully, the Watch 2 will hit Quanta’s production lines and probably we’re hear more news regarding the matter. The Apple Watch 2 will be another mark in Apple’s annual releases. Even though some of you might not feel the need to upgrade your existing Apple Watch, it solely depends upon time that we hear more about the Apple Watch 2 features. As for now, what are your thoughts on the matter?